Chiropractic can help you manage your pain. Learn how we can help by clicking here! Since 1982, Bushman Chiropratic Clinic has been working with patients to provide the best chiropractic care for patients in the Knoxville, TN area. Dr. Bushman's experience in chiropractic is coupled with genuine concern for his patients. All of our staff is dedicated to your comfort and prompt attention as well. Our goal is to help you achieve and maintain your optimal health. This website also provides you with an overview of our practice and the field of chiropractic. As you navigate the site, you'll find information about our practice, including directions, hours of operation, payment policies, information about our staff and our services, and even a link to request an appointment with our Knoxville, TN chiropractors. It also includes a library of informative articles that describe the various diagnoses, treatments and technologies associated with chiropractic care. All patients are initially put on a trial care basis specifically for three to four weeks to ensure that our care is helping with your condition. Our team of experienced staff and chiropractors in Knoxville, TN look forward to helping you maintain your best health! 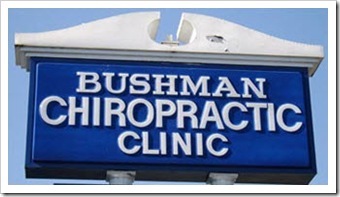 Thanks for visiting the home page of Bushman Chiropractic Clinic. If you wish to make an appointment for a FREE consultation, contact us at (865) 588-5321, or email us. We accept most insurances, and provide financing options. To learn more about our payment options, click here. A Knoxville Chiropractor winner of the 2015 Patients' Choice Awards.